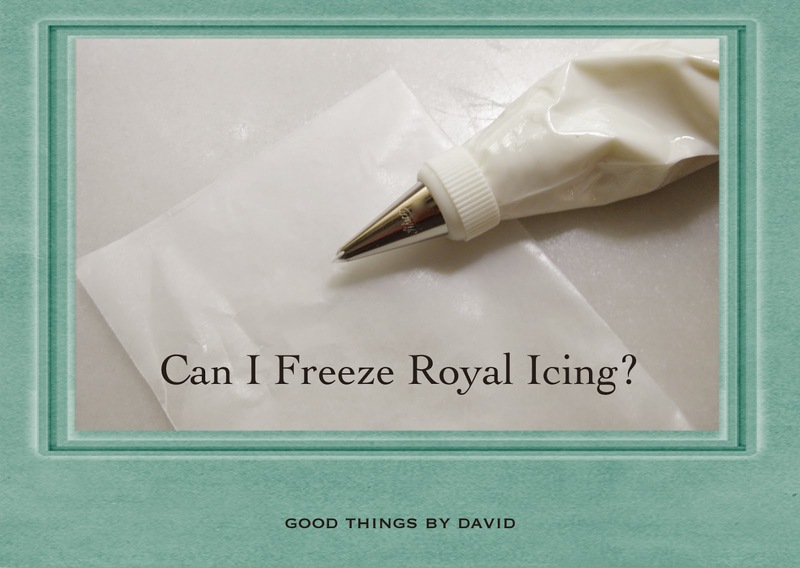 Good Things by David: Can I Freeze Royal Icing? I found this super helpful! Going to try it myself. Thanks! can you freeze decorated cookies? I need to make about 15doz cookies at Christmas and wondered if I could start early, decorate and then freeze them, or would this mess with the consistency? Yes, you can definitely freeze iced cookies once the icing has set & dried. As long as you don't add any colored nonpareils, dragées, or any edible candies that are colored, you should be fine. Colored sprinkles, etc. will bleed once you thaw the cookies and you don't want that. Freeze cookies flat on baking sheets and then wrap them tightly in bundles using a good plastic wrap (put pieces of parchment between cookies. No more than 4-6 cookies per bundle. These can then be placed in zip-top freezer bags (remove all air). I recommend that you don't freeze the cookies for more than one month. Thanks! 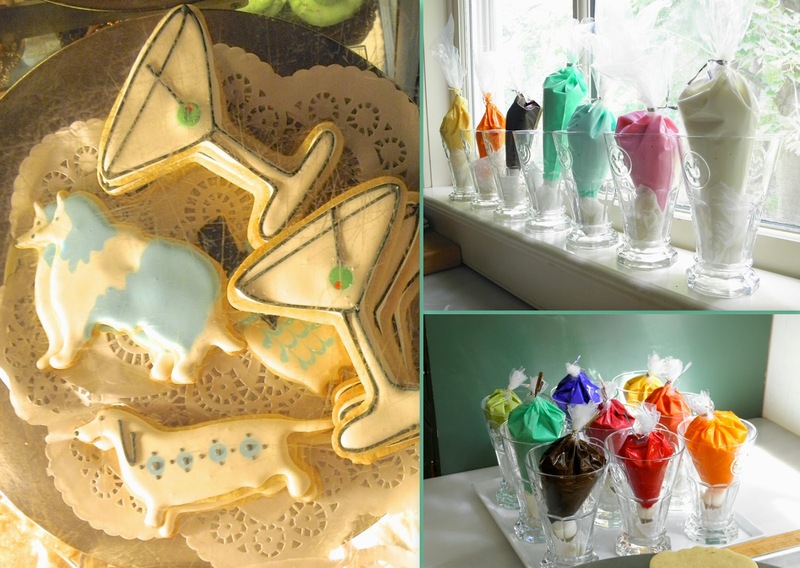 Good tips, i'm going to start teaching a class decorating cookies with royal icing. I worked as a cake decorator for many years before I was diagnosed with MS. In planning for my class, I was trying to figure out the best way to do the icing. I was planning on six students and providing each student with four small parchment bags in different colours, which amounts to 24 bags of royal icing! That's a lot of icing and colours to mix and I was trying to think of how to break up the work and you just gave me the solution! Very grateful! Mixing the icing is hard on my shoulders, tendinitis The bane of every cake decorator! LOL! Sounds like a good plan, Wendylea!! I know you will have success with the cookie decorating classes of yours. Keep me posted and email me photos if you get the chance! Yaay! 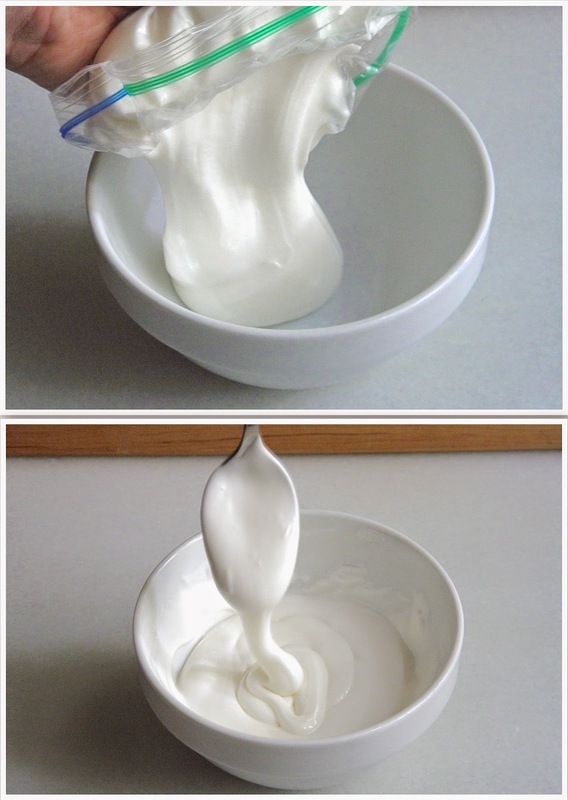 No more wasted icing! This helps heaps!! Hello, can I use mine which was frosted few months ago; You write only one month but mine was like 3-4 month ago but -17 C the hole time. Do you think that it makes my guests sick if i use it now? Hi Katerina, you can try using your icing even at 3-4 months as long as the freezer has been stable. Taste it before you use it to see if it's still palatable. Your guests should be fine. If you freeze decorated cookies will the colors merge/run as it thaws out? Shanee, as long as the cookies are completely dry before freezing, and you freeze the cookies by removing all of the air from the freezer bag, they will be fine. Thaw while wrapped, because you don't want any condensation forming on a bare cookie. I have some thinned royal icing & medium consistency in freezer but it isn't frozen. Still soft. Is it suppose to freeze solid? Thank you. Jennylu, the royal icing will not freeze solid. It stays somewhat pliable in the freezer. Just make sure it's room temp before you mix it back together and use it. Hello David, I have sugar cookies with white royal icing in the freezer. After they've thawed, can I add more royal icing for decorations? Could I freeze the icing as a shape and decorate things with it later? I want to make fishy cupcakes. I don't see why not. 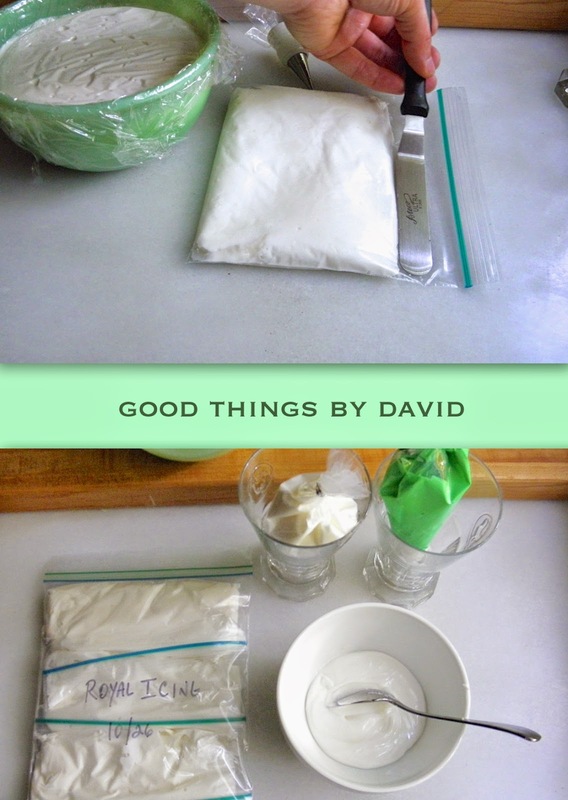 You could also store your piped royal icing shapes in either zip top bags or an airtight container. As long as the air isn't humid in the room you're storing them in, they should hold up at room temperature .